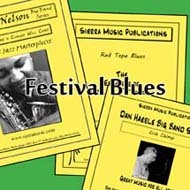 Festival 3-Chart Program - "Festival Blues"
These 3 charts are great for the band that is working on soloing over the blues or using the minor and major blues scales as a focus for improvisation. Not only are these charts composed by world-class writers, but they are also accessible to any band. This is great writing without any extreme ranges in the brass.